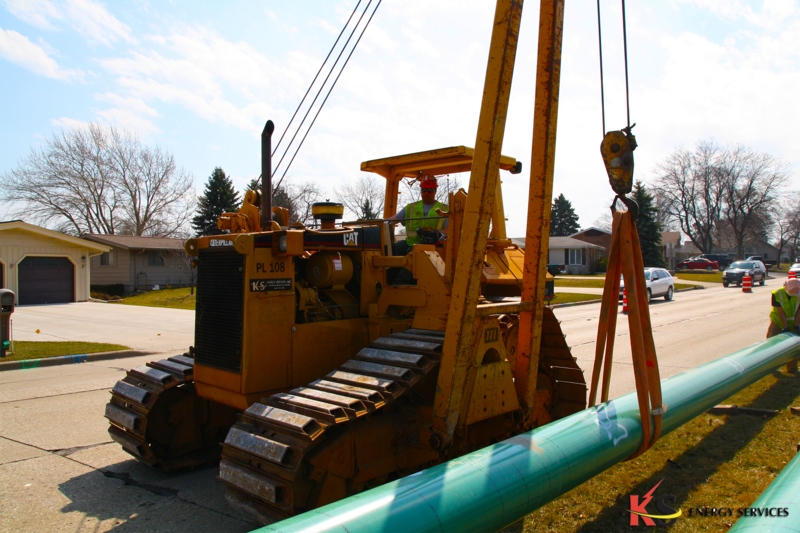 Operator Jeff Feucht mans a sideboom while other members of his crew connect segments of 16-inch diameter natural gas pipe March 24 in Mt. Pleasant. 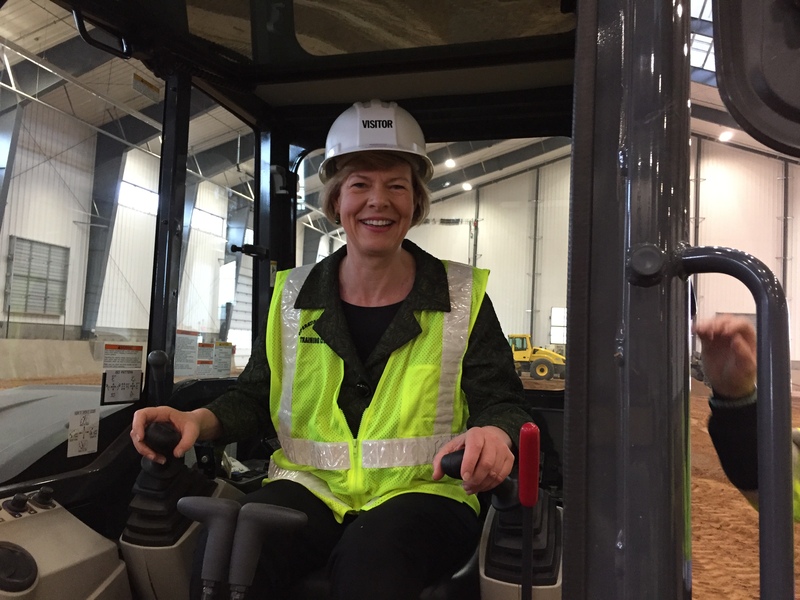 US Senator Tammy Baldwin, D-Wis., gets some tips on running a mini excavator from President/Business Manager Terry McGowan while visiting the Coloma Training Center. 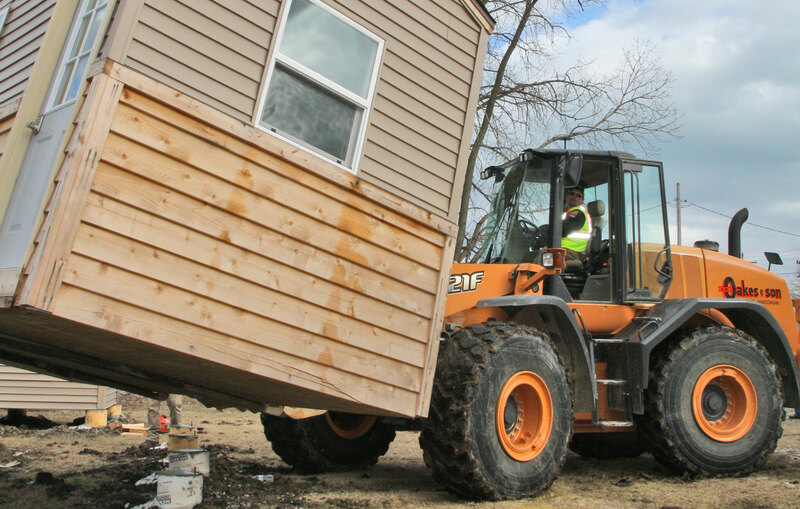 Building Wisconsin TV is a half-hour television series that travels around the state featuring commercial and residential projects, highlighting contractors, and showcasing the construction trades people of Wisconsin. This episode features Local 139’s pre-apprenticeship program. 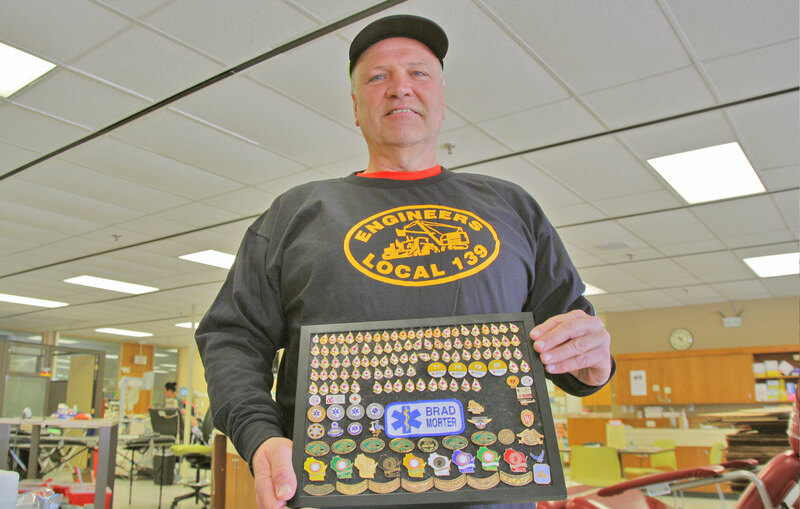 Local 139 member Brad Morter reached a milestone of 100 gallons of donated blood on Thursday, March 16, at the American Red Cross Madison Blood Donation Center. James Peterson Veterans Village has been a big volunteer effort started by Jeff Agustin of the Veterans Outreach of Wisconsin. The project was years in the making.” The grid of 120 foundational piers was described as the “ultrasound image” for, what would eventually be, the birth a profound concept providing housing for local homeless veterans. 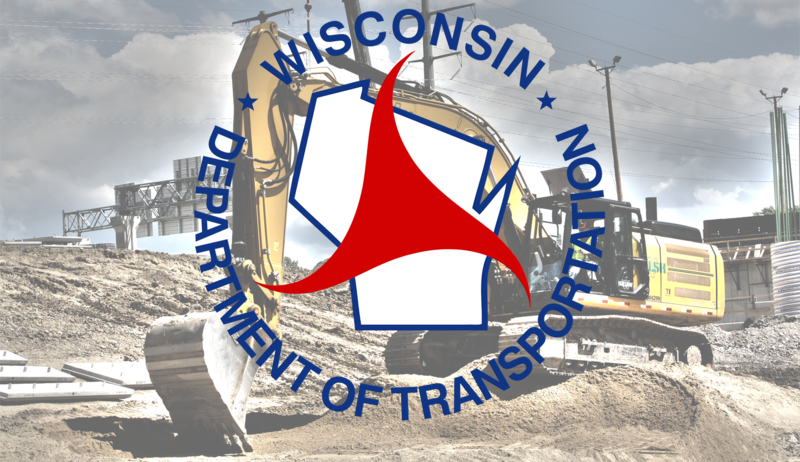 Wisconsin Department of Transportation (WisDOT) Highway Construction Bid Lettings occur on the second Tuesday of each month.